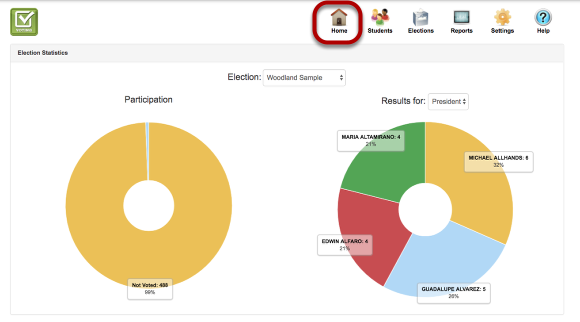 When you first login or if you click on the home icon, you can access the home page / dashboard. 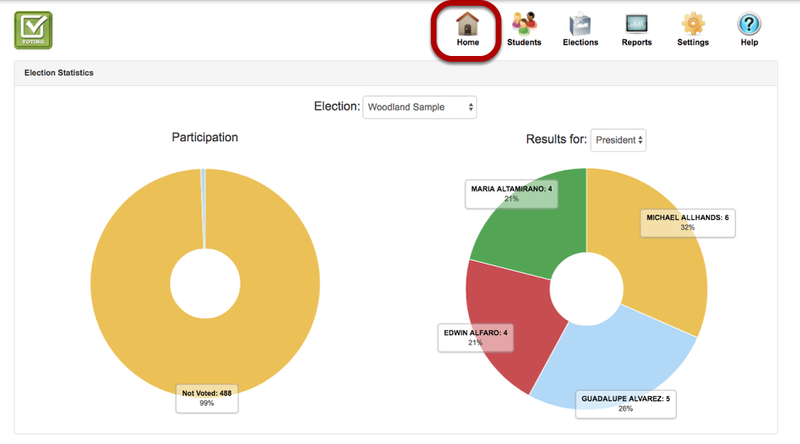 The first graph is a participation report where you can see the number and percent of students that voted and on the rigth the results by position. 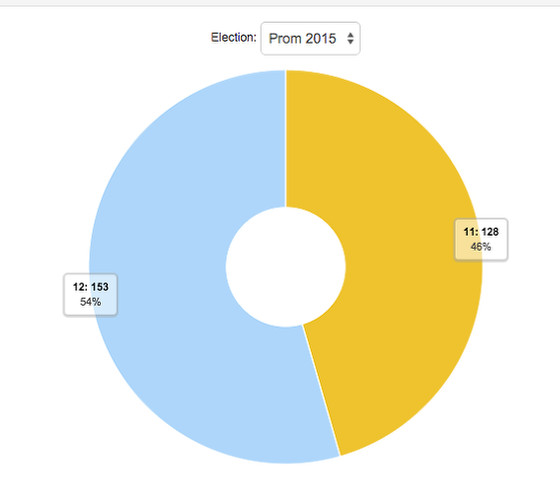 Clicking on the donut chart will change the view so you can see out of the total number of students that voted, the number and percent that came from each voting group. 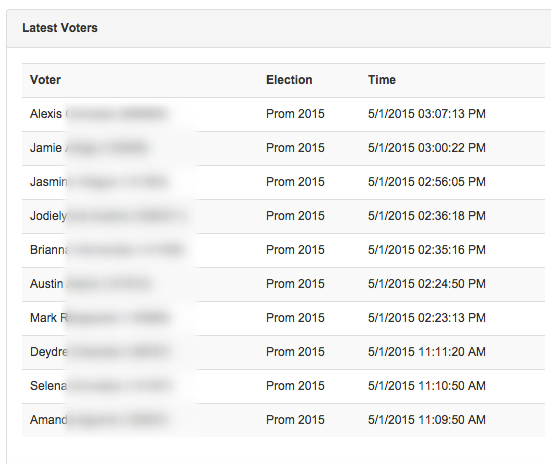 So in this example 281 students voted and 153 were 12th graders and 128 were 11th graders. 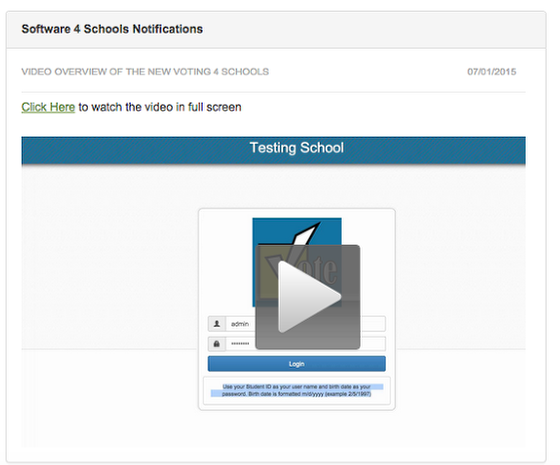 This next report will show you the last 10 students that voted, what election they voted in and what time they voted at. The last report is the notification tool where you can see access the latest information and updates that we push out to our customers.